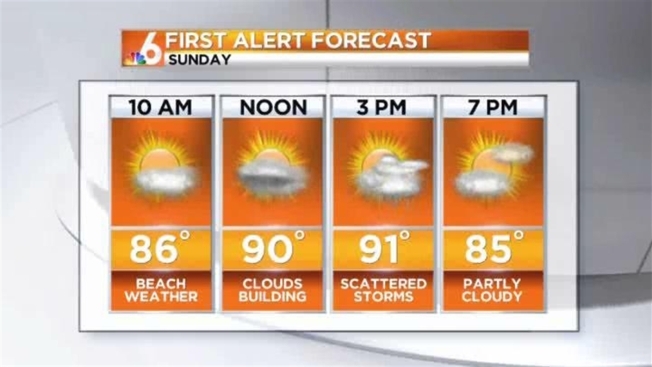 A quiet and hot Sunday morning will make way to scattered afternoon storms. A 30 to 40 percent chance of storms will head into the area after lunchtime, but it should not be as strong as the last couple of days. Highs will remain in the low 90s, while the afternoon rain should cool us back down to the upper 80s.